With Halloween approaching, be sure to get your paws on this Tai the Tabby Cat Adult Unisex Funsie right meow. 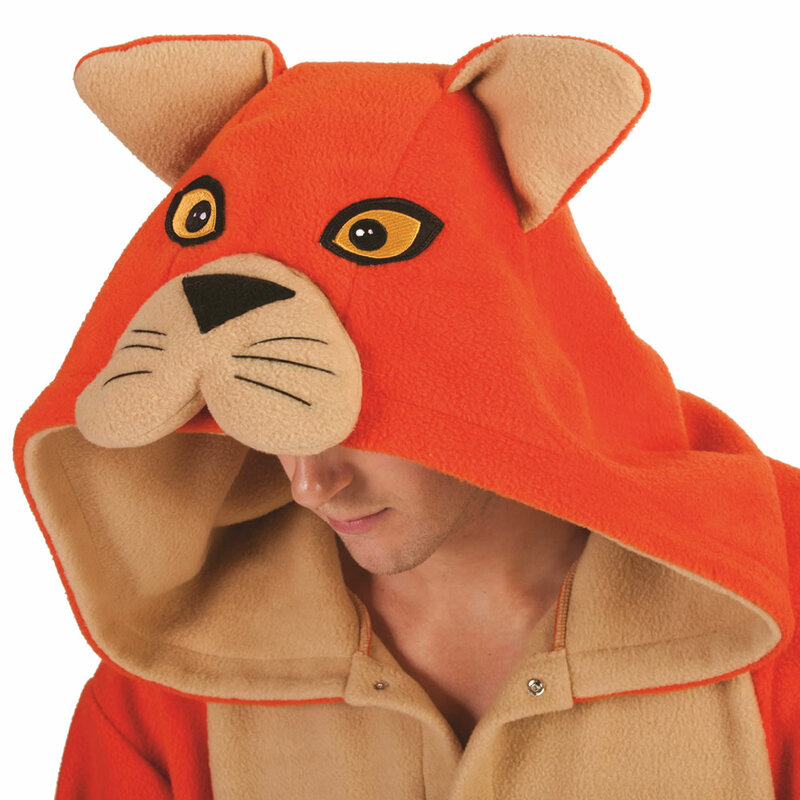 Made of 100% polyester, this 1-piece adult unisex costume includes a cat-themed jumpsuit. 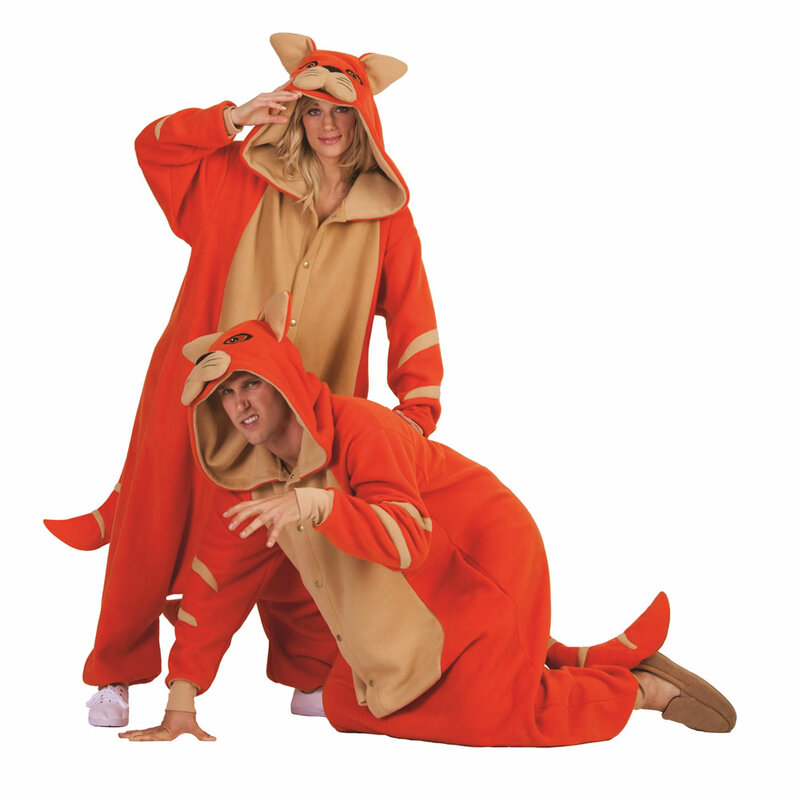 The costume jumpsuit features a front button snap closure, side pockets, ribbed wrists and anklets, and an attached hood and tail. The jumpsuit is decorated with an all orange body with a round, beige belly and matching beige stripes on the sleeves and tail. The jumpsuit hood is detailed like a cat’s head with soft pointed ears, stitched yellow eyes, and black whiskers and nose. Soft and comfy, this Tai the Tabby Cat Adult Unisex Funsie is purr-fect for Halloween or everyday loungewear. Hand wash cold water, Line dry, Do not bleach, Do not iron, Do not dry clean.